Ms. Castellow has served as an executive for many years, joining Patient Advocate Foundation in 2000. She currently serves the organization as its President of Operations, a position she has held since 2006. 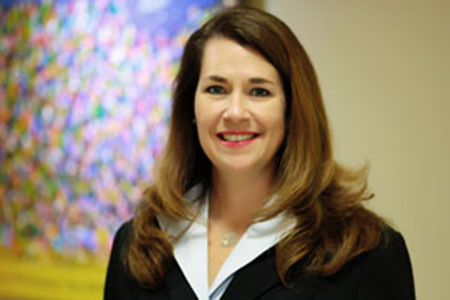 As President, Ms. Castellow holds top executive management responsibility for the effective and efficient delivery of Mission focused patient programming and partnerships including Case Management Services, PAF’s Co-Pay Relief Program, Financial Aid/Small Grants programs and patient education. As well, she is responsible for the successful delivery of Human Resource, Finance, and Information Technology services within the organization. She serves as a member of the Strategic Executive Team, collaborating with the CEO and other executive leaders to develop the short and long-term vision, strategic goals and operational strategies for the organization. Ms. Castellow leads operational teams that are responsible for the conceptualization, design, delivery and ongoing management of mission-related programming that is effective, efficient and impactful to the patients and families served by PAF. She has managed the growth of the organization from 12 employees in 2000 to a workforce of 200 located in Hampton Roads and in strategic locations across the country. During her career, Ms. Castellow has worked to build strong strategic alliances with stakeholders in the healthcare and non-profit sectors that has resulted in the successful procurement of significant grant support for the patient programming provided by the foundation. Ms. Castellow is a 2014 graduate of CIVIC Leadership Institute and is an active volunteer in her community. She currently is serving as a founding member of the Board of Directors for the Hospice House of South Hampton Roads, dedicating time and energy alongside other executives from the Southeastern Virginia Business community to build a new hospice house facility that will serve the South Hampton Roads community. She also serves on the Branch Banking & Trust (BB&T) Peninsula Advisory Board. Ms. Castellow holds a Bachelor’s of Science Degree in Psychology from James Madison University, Harrisonburg, Virginia and Master’s of Science Degree in Education Counseling from Old Dominion University, Norfolk, Virginia. She and her family husband Bryan, daughter Caroline and twin daughters Kate and Karsen, reside in Yorktown, Virginia.